Equinix’s third Sydney International Business Exchange (IBX) datacentre, SY3, has been selected as Hawaiki Cable Limited’s landing station in Australia, and will serve as a prime interconnection point. 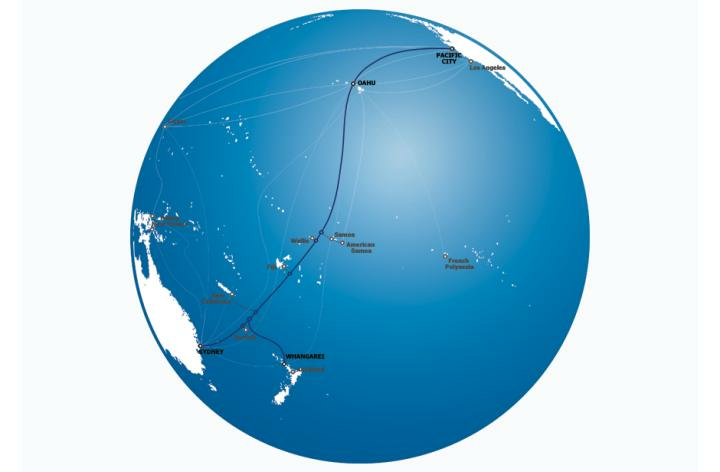 Hawaiki announced in July 2013 it would build a $US350 million, 14,000km trans-pacific cable system connecting Australia and New Zealand with the United States west coast, Hawaii to continental US, the pacific islands to NZ and Australia to the US. The system, which has a design life of 25 years, will be based on 100 Gigabits per second (Gbps) wavelength technology and deliver more than 20 Terabits per second (Tbps) of design capacity. In layman’s terms, the theoretical speed is enough to send 468 DVDs in one second. With the project scheduled to go live in early 2016 (it was previously expected to be running in late 2015), the ISO 27001-certified SY3 landing station will provide cross-connect opportunities for the 4500 Equinix customers using the facility, and provide Hawaiki with direct access to those customers. “After a thorough consideration, Hawaiki determined that Equinix’s SY3 datacentre is the best facility to locate our Australian landing station,” Hawaiki CEO Remi Galasso, said. When fully operational through SY3, Hawaiki will add to the density of submarine cable systems that serve Equinix’s customers globally. SY3 currently provides access to 120 local and 975 global networks. Customers will be able to connect the submarine cable for the cost of a cross-connect. Equinix recently completed a $US30m upgrade of SY3, marking the third phase of the location’s development through the addition of another 1000 cabinets, taking the total to 3000. Systems integrator and hosting company, Net Logistics, was signed an anchor tenant as part of the upgrade, and will occupy 40 cabinets with a total capacity of more than 300kW.